Phuket is Thailand largest island and is an hour’s flight south from Bangkok. The new extension at Phuket International has just begun and will in future be able to handle 12.5 million tourists a year. The island sits in the Andaman Sea and its west and south coastline is sprinkled with some of the best beaches in the world. The most popular resort is Patong Beach famous for its beach, shopping and exhilarating nightlife, but if you prefer a quieter location there are many other options such as the Laguna Resort, Surin Beach, Kamala Beach, Karon Beach, Kata Beach and the fast developing south including Rawai and Nai Harn Beach. 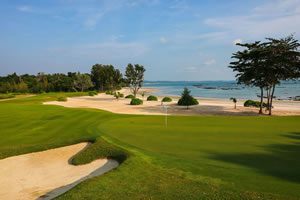 As well as being a great golf destination Phuket offers so much more with island trips, local markets, international shows, great restaurants and some of the best Spas in the world. The island has 8 golf courses including two nine hole options, the best being Red Mountain and the Blue Canyon championship course. 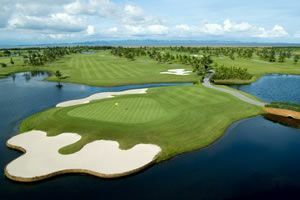 There are other options if you don’t want your holiday golf too tough with popular courses such as Loch Palm, Laguna, Blue Canyon Lakes and oldest course on the island, Phuket Country Club. 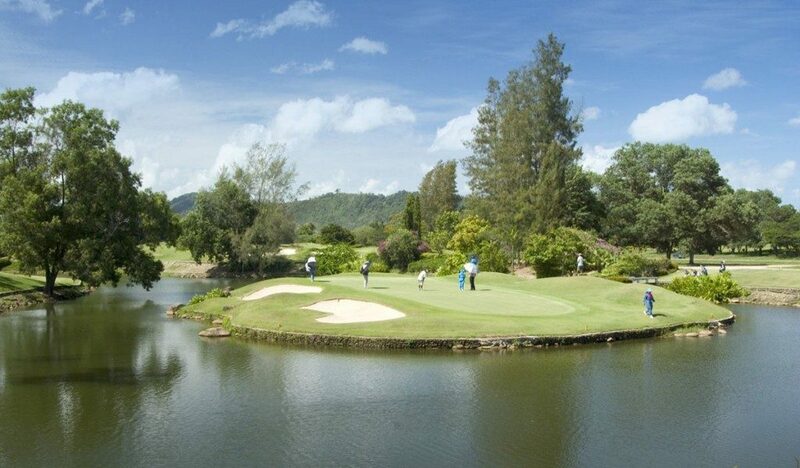 If you want spectacular views then Missions Hills is must visit with the course in good condition and the views over Phang Nga are not to be missed.